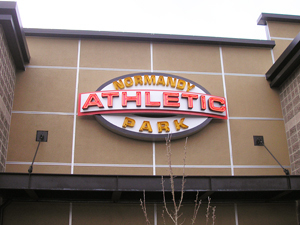 Normandy Park Athletic is a 13,0000 square foot state of the art fitness center with all the latest equipment. They have Clean and well kept locker rooms with blow dryers, private day-use lockers, childcare facility and personal trainers for a fee. The club has a great schedule of Group classes and activities. New Members Receive $30 off joining fee!!! Not valid with any other offer. Valid for new members only. Family members excluded except for the first Family member.